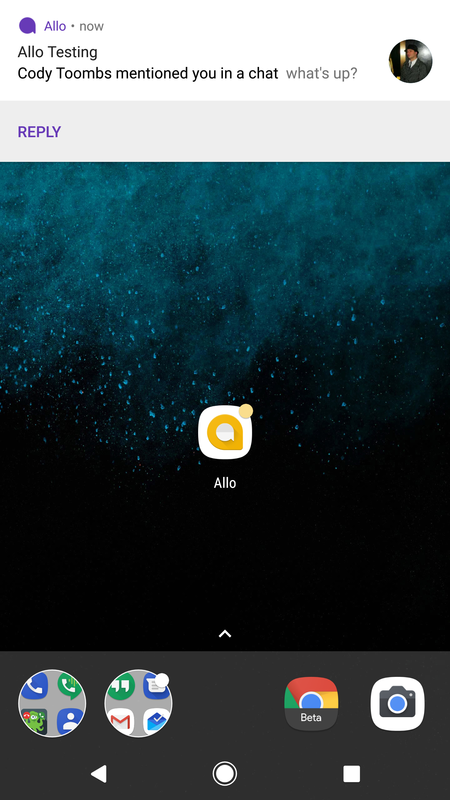 A new version of Allo hit this morning, but that's not nearly as important as the features that were remotely activated by Google in the last day or two. Two features we've been expecting have gone live: Web Stickers and @mentions in group chats. But just as those teardown topics make the transition into live features, the latest update does bring some new things to look out for in the future, including group management and permanent bans, plus a new way to record selfies. Note: Both of these features work on v19, they don't require v20. They just happen to have rolled out at about the same time. Group chats are great tools for keeping up with friends, organizing events, or just engaging in idle chit-chat about sports. 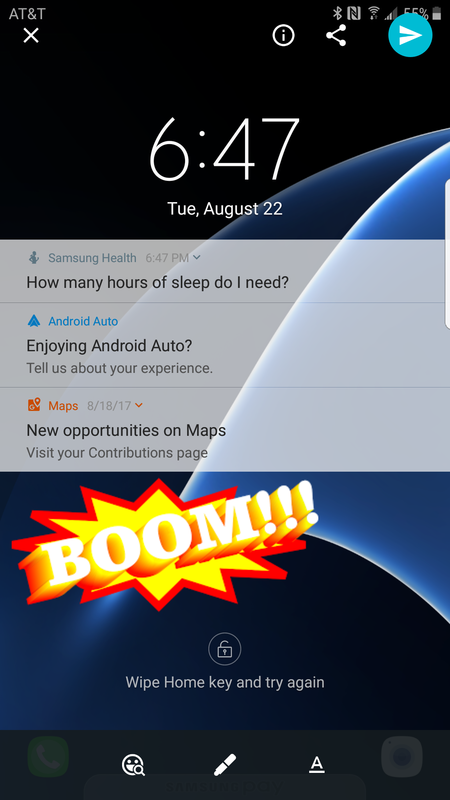 And when we get too busy, Allo will still let us know about activity in a group chat by posting notifications. Those notifications can get annoying really fast if the room is always active, and you might have to mute the group to maintain an ounce of sanity. Unfortunately, this means other people have to start separate chats with you if they really need your attention in the group. If somebody really needs to get you back to the chat immediately, they can now use @mentions to have Allo post a more aggressive notification, even from a group that has been muted. If you've used services like Slack and HipChat, @mentions should come as second nature to you. Just type the @ symbol and a list of participants will appear above. Tap on the one you want to reach and then type your message. Mention functionality was first spotted in a teardown of Allo v16 back in August. It seems like this is available to everybody already, and it works on v19, but it's hard to say with certainty that Mentions aren't part of a staged rollout. Just remember to use them responsibly. Another recent teardown discovery seems to be going live, as well. 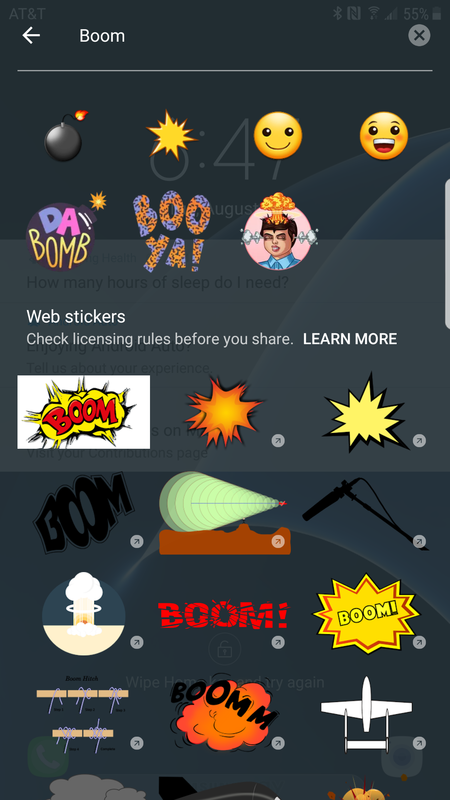 Web Stickers first appeared in a teardown of Allo v17. To put it simply, these are stickers made available to Allo by third parties. They don't come in downloadable packs or as part of a theme, they are simply individual stickers that can be found through a search. What's really strange is that they aren't (currently) available to send as individual stickers, they can only be used while editing a picture before sending it. To be clear, the way to find Web Stickers is to start by using the image gallery picker (second button from the left), picking an image from the list, then hitting the edit button in the text field. 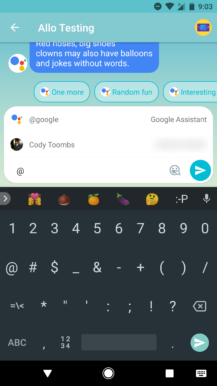 From the editing screen, you'll then want to hit the sticker search button, and finally you can type in a search term at the top of the screen. Your installed stickers will show up first, but thumbnails of the Web Stickers should appear within a few seconds. After adding a sticker to an image, you can treat it just like any other sticker by moving, resizing, or rotating it freely. There is also an info button at the top right that will show the source. Web Stickers are definitely on a staged rollout and not available to everybody yet, but they also work at least as far back as v19. Seeing as they should probably also be available to send individually, I'm not entirely confident this is supposed to have been turned on yet, so they may also disappear again after this article goes live. Large group chats in Allo can be done, but since everybody is equal, it only takes one misbehaving troll to ruin it for everybody. The Allo team is taking the next step toward enabling more controlled environments by adding group managers to the system. Judging by the text and lack of any terms like "owner" that might imply there's anybody higher than a group manager, it looks like existing group managers can freely grant or remove manager status from other people, must like ops on IRC. Aside from that, the only other power that seems to be available is the ability to remove a user from the room and permanently block them from the group, which prevents them from re-using invites to re-enter. 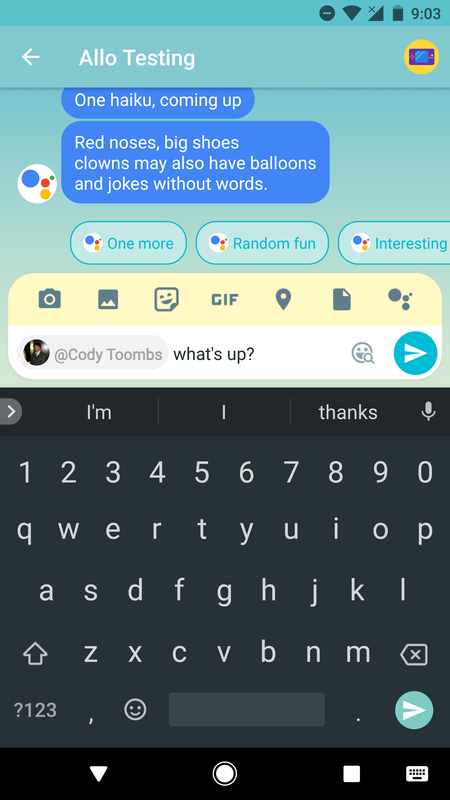 Much like the clues from the v16 teardown, this feels like another strong indicator that Google is aiming to turn Allo into a platform for large conversations between strangers. The current implementation of Selfie Clips requires users to tap on the camera button at the far right of the chat box, then tap the round button to record a short clip. 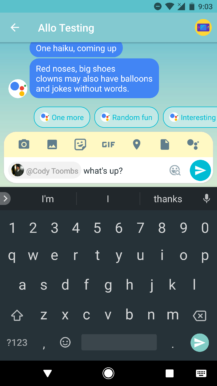 Perhaps that was too much work for some users, because the line of text below suggests Allo may be getting a new way to record video selfies that requires simply holding down the camera button.